DWL025 . Released December 2001 . Add To Cart : $4 Description Our second compilation, a mix of dwl faithful and regional artists that attracted praise both locally and nationally for its wide range of styles and cohesive vision. 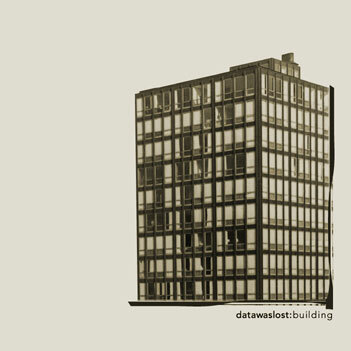 Reviews Given their roster's predilection for incestuous band-hopping and creative, self-made music, it's surprising that Datawaslost hasn't attained an Elephant 6-type reputation. Datawaslost: Building has as many (if not more) different visions and ideas crammed into its 43 minutes as you'll find on most better-known labels' compilations. A little bit of every kind of music that's too cool to not get played on the radio is represented here.. Cincinnati apparently has a good batch of underground bands just reaching for some recognition. Building is a superb representation of one of the more interesting sub-scenes happening in Cincinnati right now, and it should have broad appeal to Indie-philes worldwide. Building suggests that there's is a quiet revolution of sorts happening in Cincinnati's underground and proves that Datawaslost is at the center of it.